The company was created to work with business owners to solve real problems enhancing the health and growth of their companies. Chris holds himself to the highest standard with hard work, intelligence, trust and putting himself in his client’s shoes. He spent 15+ years of his career working in restaurants learning the meaning of hard work, team work, time management, communication and building relationships with people of all backgrounds and beliefs. 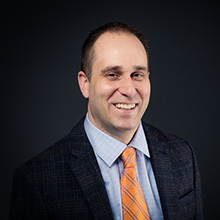 Since beginning his public accounting career in 2006, Chris has continued to apply these vital skills that have contributed to the success that he has achieved during his career as a Certified Public Accountant. He currently works with small businesses by implementing strategic plans to create efficiencies, manage cash flow and ultimately increase the value and sustainability of their companies. He also provides consultation services to clients in a variety of tax areas including Federal income taxes, state income tax planning and entity restructuring in order to minimize tax liabilities. Chris currently resides in Centennial, Colorado with his wife Nicki and daughter Remi, along with their two dogs, Salem and Charlie. In his free time away from the office, Chris enjoys hiking in the Colorado Mountains, playing soccer and golf, as well as dining out and traveling with his family.